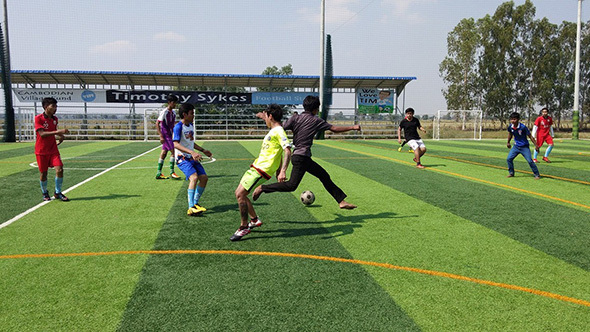 We are starting a youth soccer league for our villages, one of the first in Cambodia. 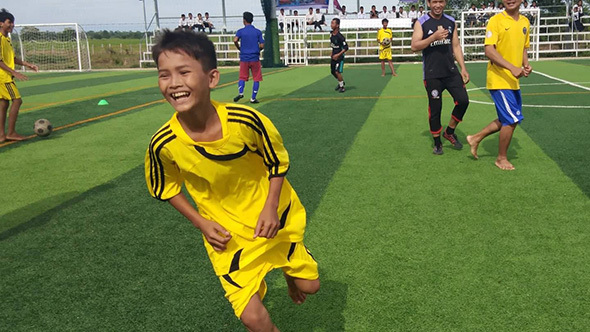 Thanks to Tim Sykes the villages have a new stadium, but the kids did not have a place to practice soccer, or even learn the rules, so we are starting from scratch. 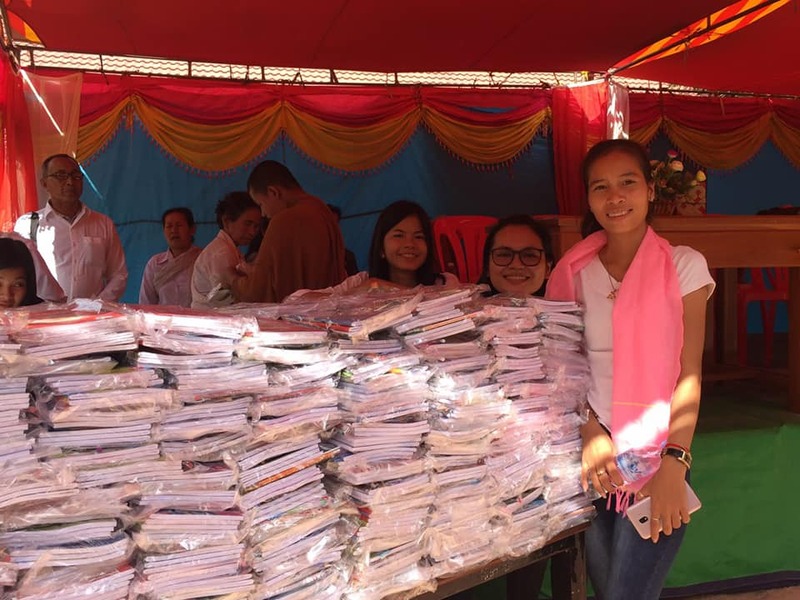 San Diego’s Francis Parker School donated money for practice soccer fields, uniforms and equipment for each of the five primary schools. 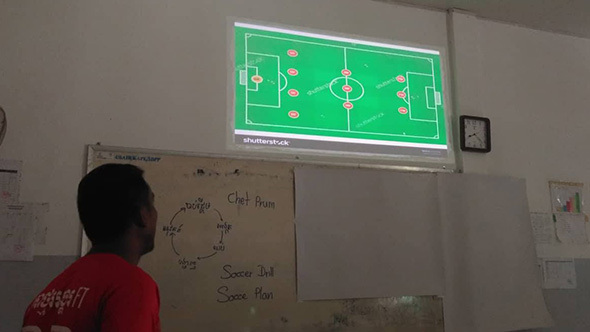 A local non profit organization, the SALT Academy (Sports and Leadership Training) conducted workshops for teachers and students to learn the rules of soccer, training techniques and how to form a soccer league. The new league is called the “Tim League” in honor of Tim Sykes. Development of the soccer league is part of our strategy to pay for operating and maintenance costs of the stadium, like electricity and management. Each time the stadium is used the teams pay a small fee (about $3-$4 for student teams). 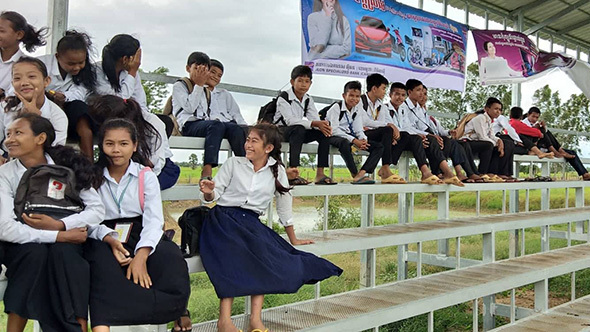 Even before the youth soccer program begins, the stadium has been generating enough money to pay all expenses and have a small profit each month. The money goes into a bank account and will be used for large expenses like new nets and replacement of the artificial turf in about 5-7 years. Thanks to Timothy Sykes and Francis Parker School for their support for the soccer program. Soccer is much more than a stadium. 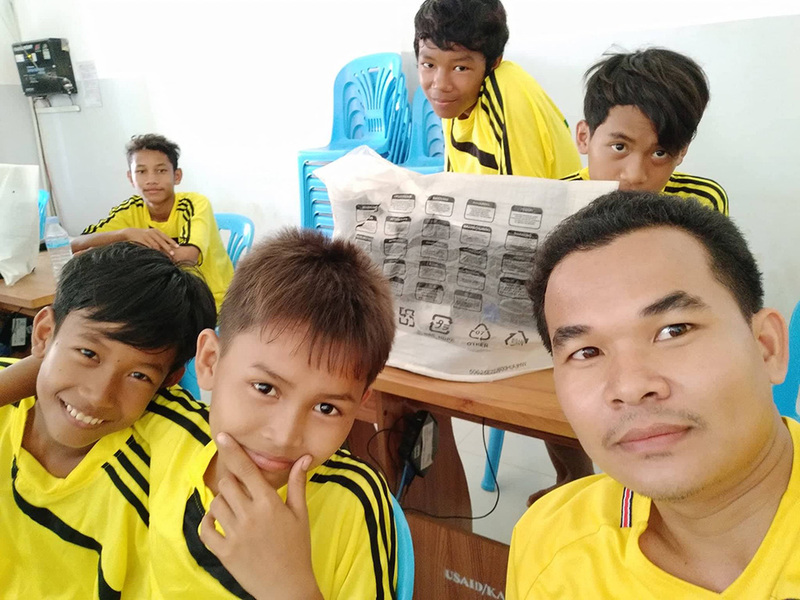 The soccer program will improve the lives of the children in Prey Touch Commune. It gives them something special – a safe place to play, to learn about leadership, teamwork, competition and doing their very best. Soccer also helps develop agility, balance, coordination and decision-making. Who knows, one day a great soccer player may come from Prey Touch Commune.